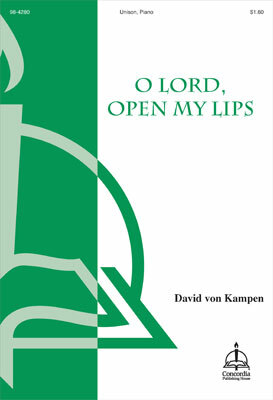 This short piece by David von Kampen is surprising, delightful, and appealing with its gentle use of unconventional harmonies. Though written for unison choir and piano, it can be sung by any type of ensemble or by a soloist. Useful at the beginning of any service, the piece features a final, hanging chord that naturally leads into the rest of the service.